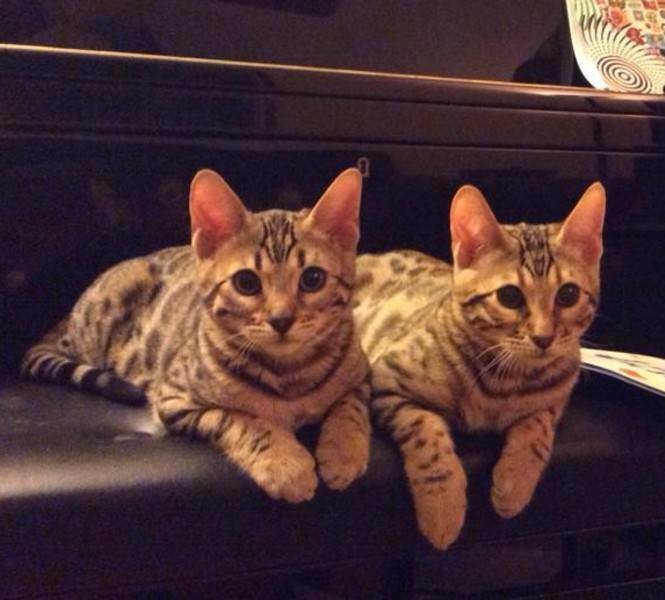 *Sometimes, we have Retired Breeders or Young Adults available - contact us! you just might find the perfect match for your family! 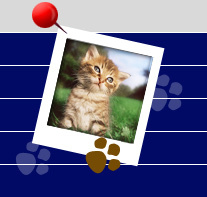 See our Kitten Inquiry Page for more details and other exciting Upcoming Litters! Don't miss out! Secure your selection spot by placing a deposit on our Reservations List NOW! for Mel's litter or upcoming litter of Stella. 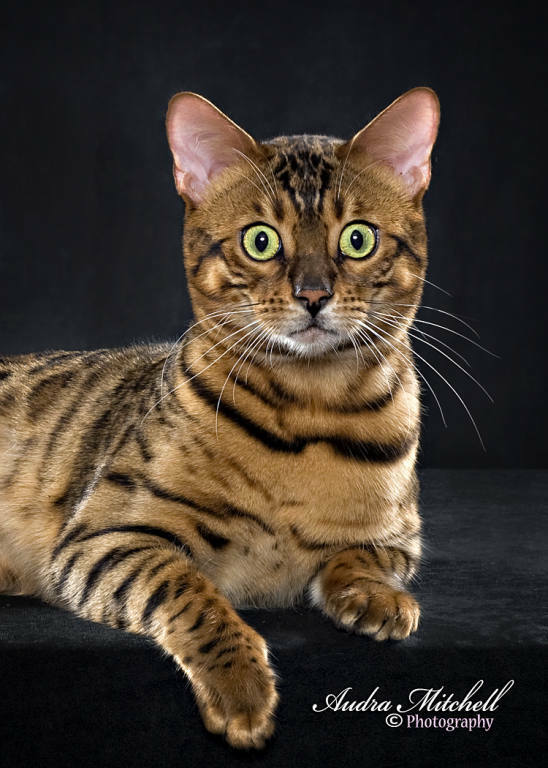 Many thanks to Donna of Bengalislandcat for this handsome fella! Wowwie! you should see his babies! 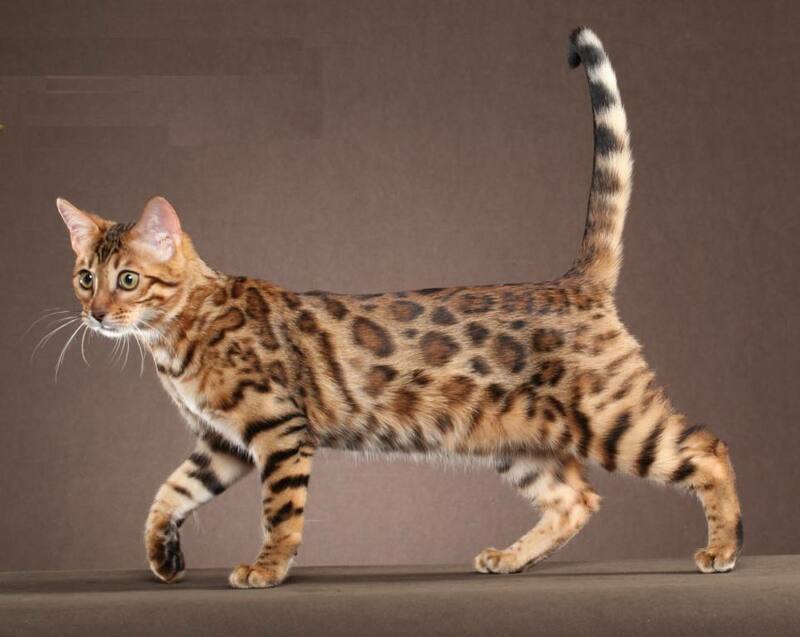 * 12th best Short Hair cat in SE Region & 20th Best Bengal TICA 2013 in THE WORLD! 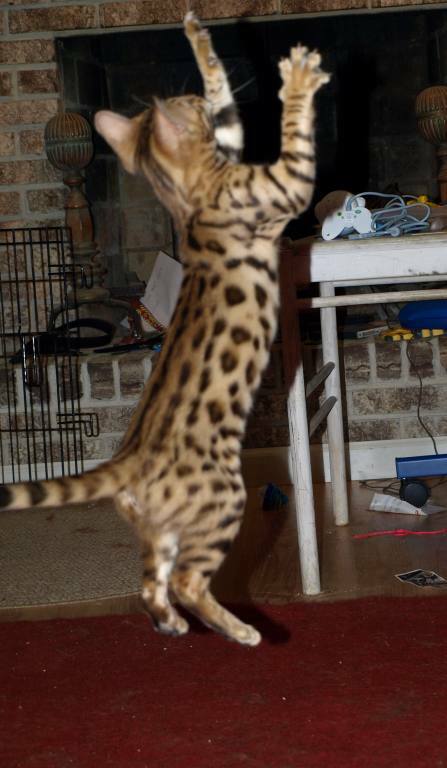 TICA Quad Grand Champion and Dual-Registered in CFA "Cat Fanciers Association"
Ezio is a home-grown sweetheart~! 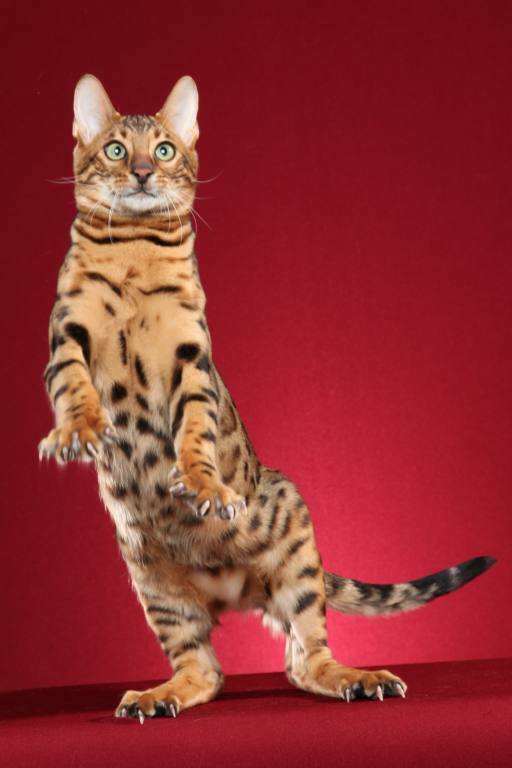 earned his Championship title in his first adult TICA show with a total of 4 finals - one of which was a BEST CAT! 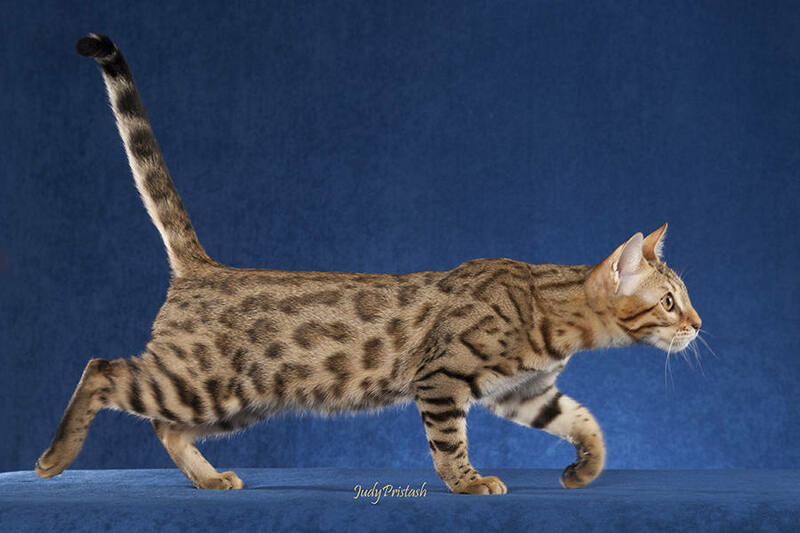 Mel is from the awesome breeding by our friends at BoutiqueCats; Kathy and Kelly did a fabulous job with Mel; Her head type is outstanding and the long-lanky sleek body combined with wonderfully round-tipped ears set on just about the very best head type just makes you say "WOW!" 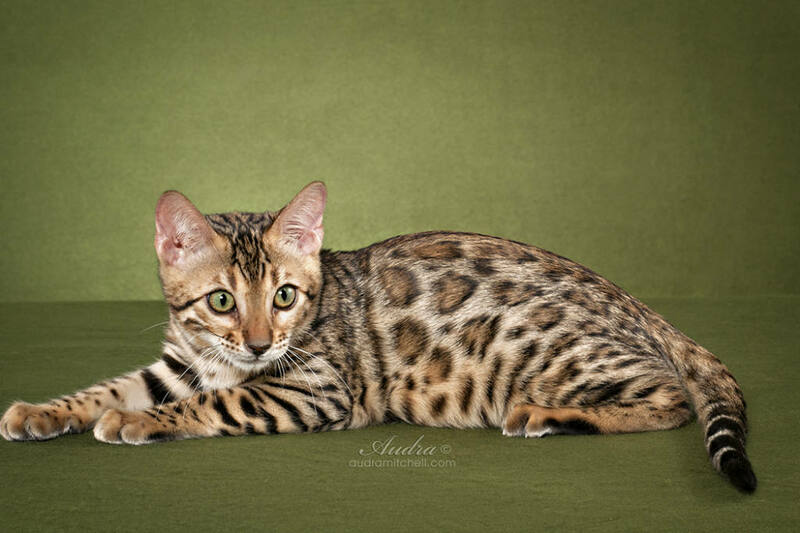 Stella is our new awesome show kitty and future queen~! 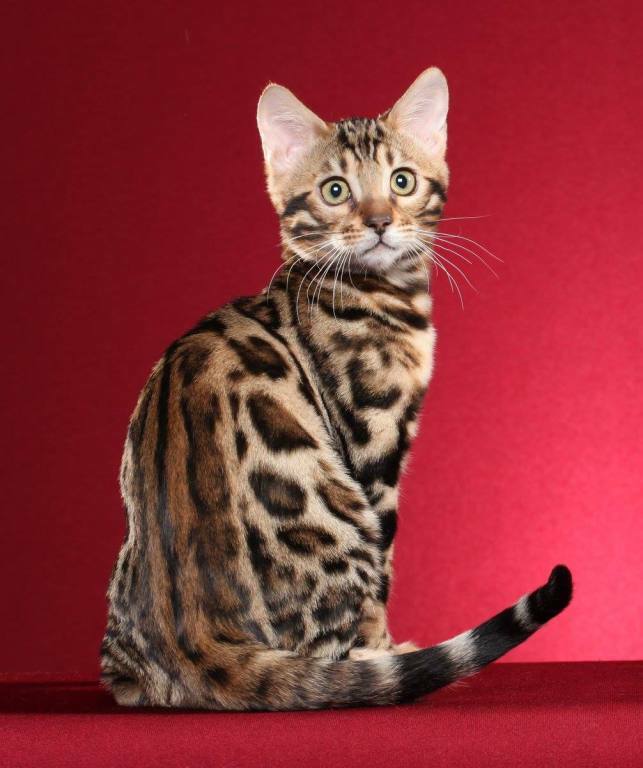 CloverBelle is a wonderful surprise and reward of two breeding programs, ours and Kathy Van Der Linden of BoutiqueCats Bengals in Texas. Clover has a very light belly just like her mom, the very athletic body of both her parents and the 'love you to pieces' personality of her dad. Super excited to see how she does in the show hall! Izzy is our adorable new queen from Sami & Libby Kerr. Izzy is dual registered in both TICA and CFA. 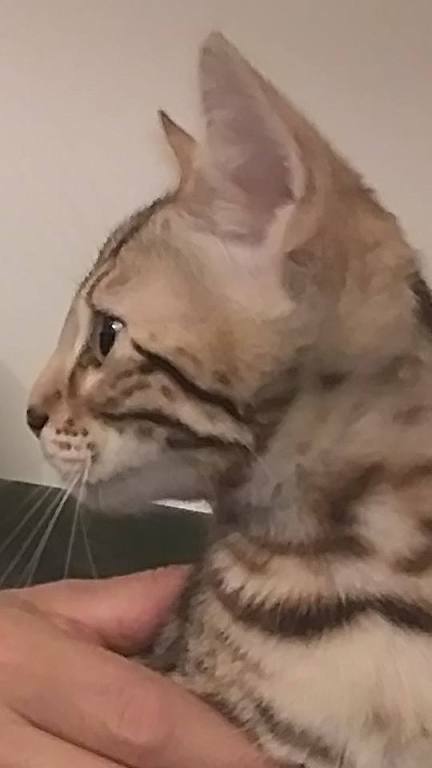 Her pattern is amazing and her coat texture is wonderful, We think it's from her mom Isadora, who is a seal lynx point Bengal. 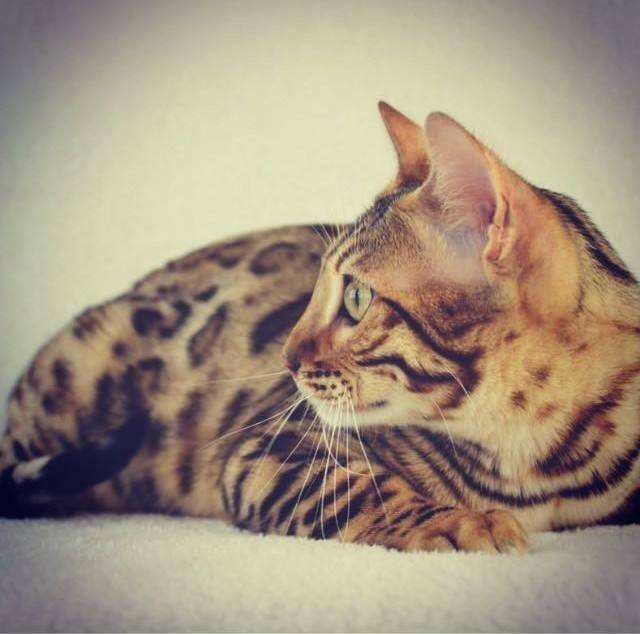 We're looking forward to her offspring with RubyClaw studs! 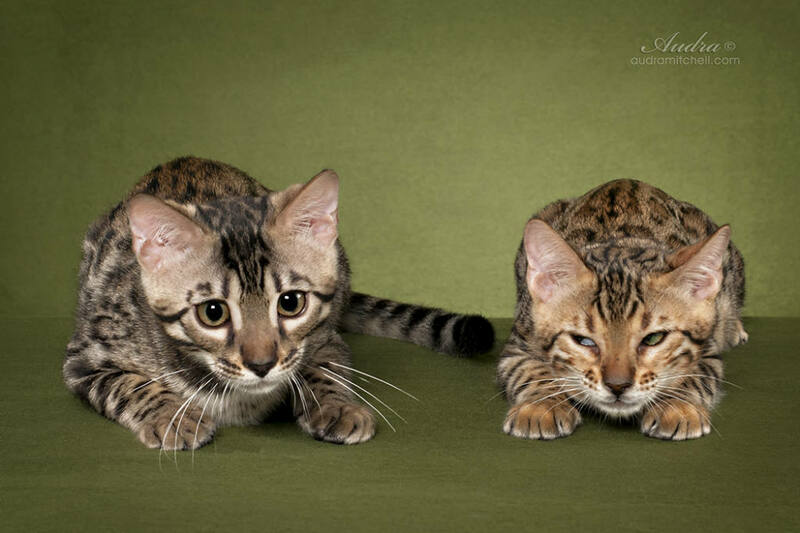 MORE Available Kittens... coming soon! 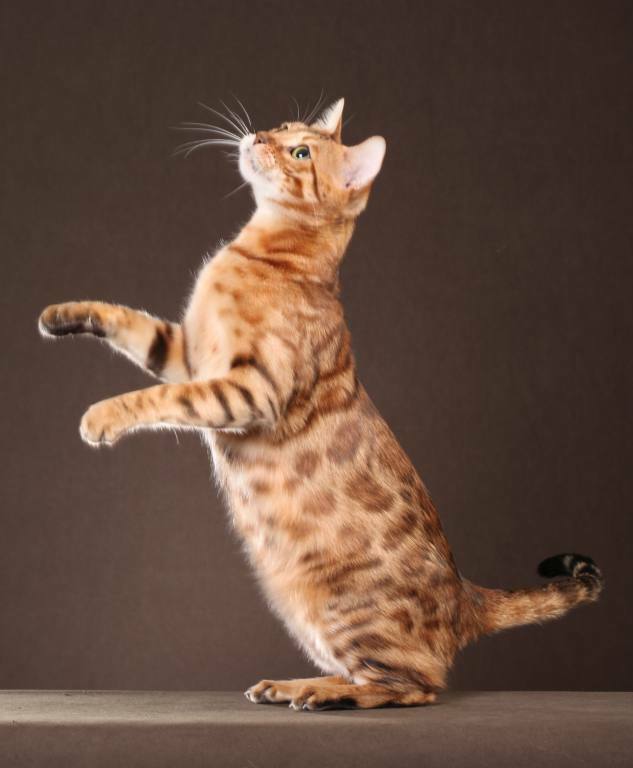 If you're thinking about adding a pedigree cat to your family - please spend a little time on the Cat Buyer Guide "Choosing a Breeder", there is a lot of helpful information on the kinds of questions to ask, how to evaluate a cattery, etc. 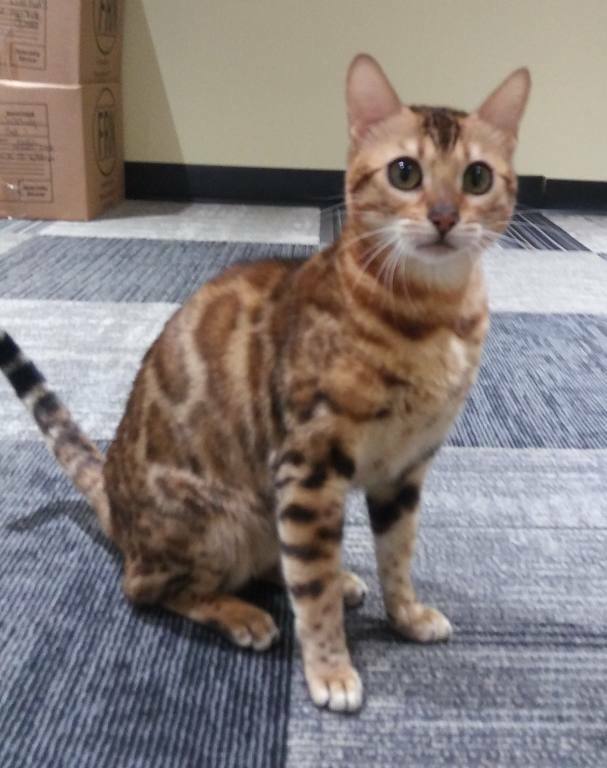 Many loving thanks to Julie Ollis of BengalFlats for choosing US for this very sweet kitty, and helping us to carry on the CheetahsDen tradition of structure and temperament! Julie says her kitties 'purr on touch' and that's the truth! Venus is a one in a million! we're really looking forward to showing her! Update: Venus earns her Champion title in her first Adult show! 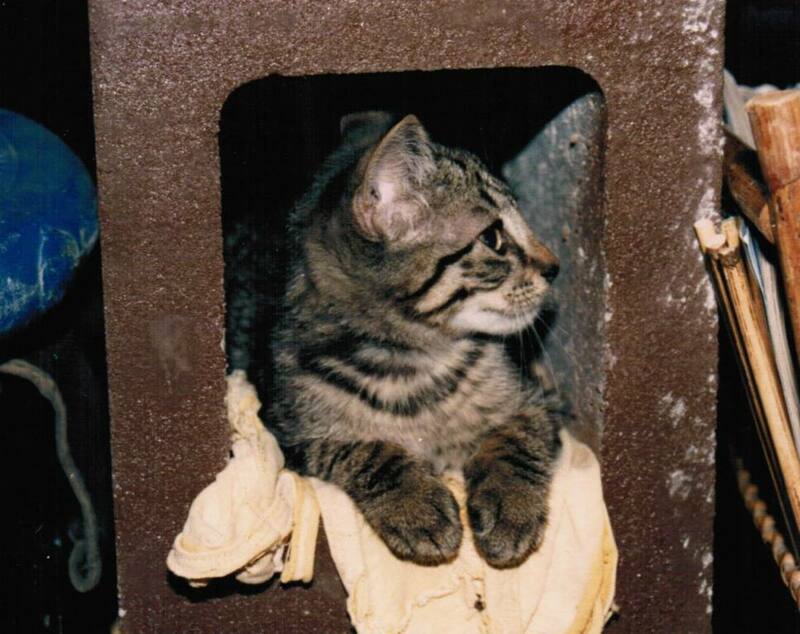 Venus never had any litters for us at RubyClaw, and during an annual screening, it was discovered she has a heart condition "HCM", we will not breed any cat that has this terrible disease, or could possibly pass it along to offspring. We made the decision to spay her. Now we only show her in the Alter class. She has done a GREAT job, and has already earned her Quad Grand Champion Alter title. 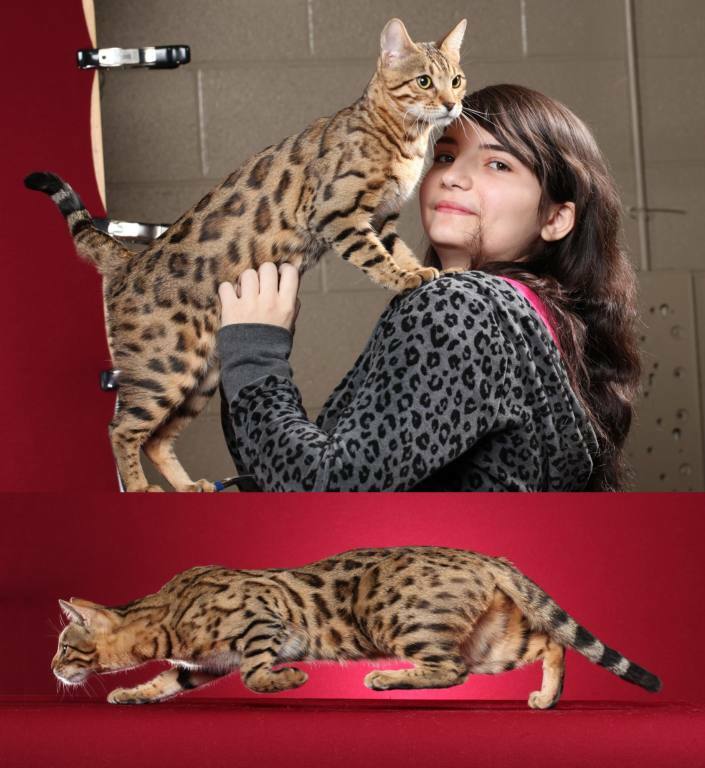 Perhaps some day in the future, she will earn the elusive "Supreme", in the mean time, she is a wonderful pet, adored by our entire family and all our kids friends too! Pesto has the 'just stepped out of the jungle' look from her daddy Spice Basil, and the over the top "I Love You" animation from her mommy Phoenix. she's just wonderful... but we're biased, I'm sure of it! 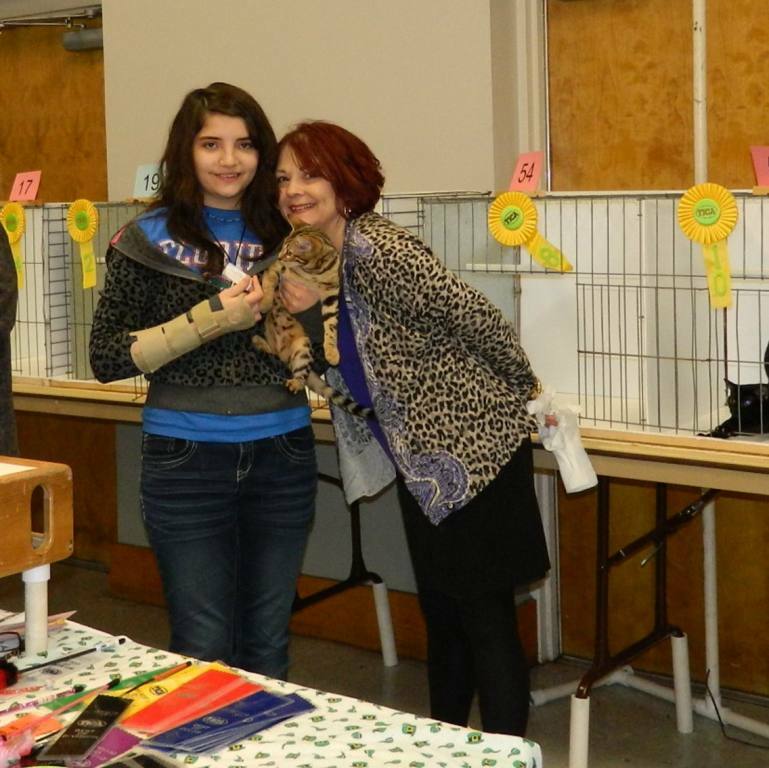 Pesto earned her Championship title at the PartyCats TICA show in Atlanta April 2014! Carmelita is the kitten we've been waiting for all these years! 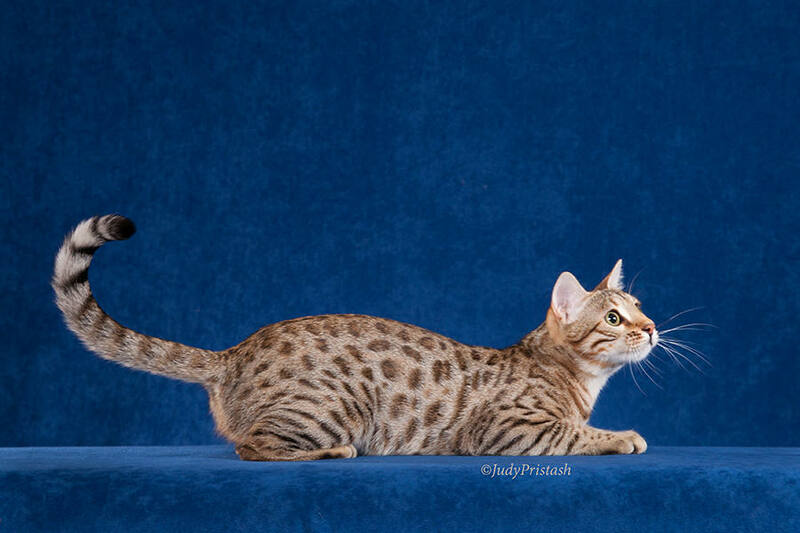 She will step into the show hall, and then into her mom's pawprints in our breeding program! She's gotten the absolute best of her mom Sugar (personality, love and sugar-soft coat) and of her dad Santana (near perfect eat, awesome contrast with a fabulous patten). We are so very happy that she all this and more. Her show debut will be in Anniston Alabama in mid-March. 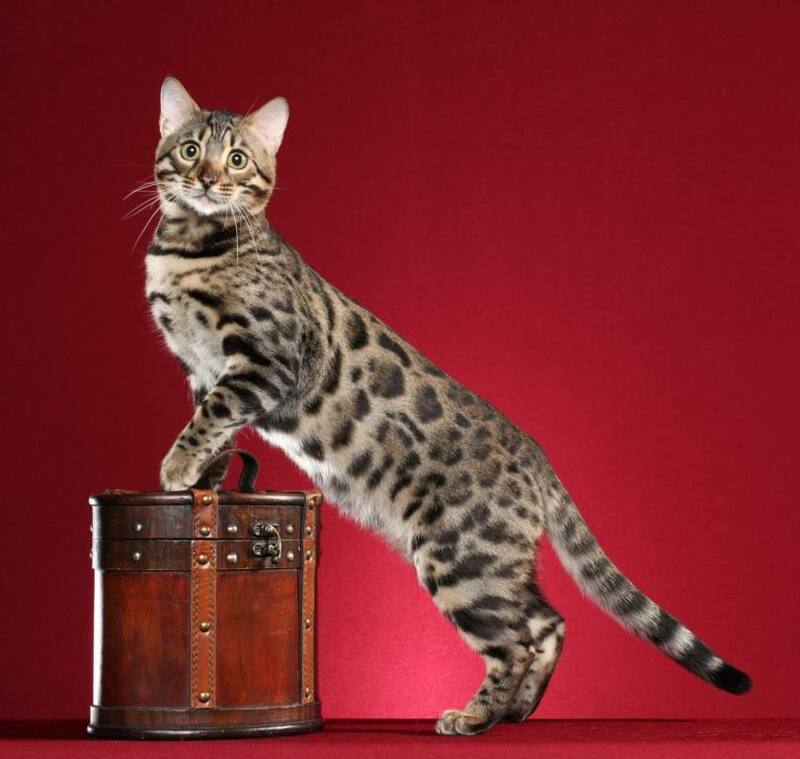 He earned his Supreme Grand Champion title at the Atlanta FantasTICAts show in Temple Georgia. His babies are kissable wonderful! "Sugar" retired queen-living in North Georgia with Dolce and their wonderful 'parents' Shelley and Tim. Sugar earned her Champion title in her very first Adult show! Many thanks to TICA judges Fate Mays and Philipa Holmes for the recognition! "Dolce" Retired Queen-living in North Georgia with SugarRush and their wonder 'parents' Shelley and Tim. Dolce is also a featured image on a Ideas website! Update: Dolce is enjoying a fabulous retiree's life in north georgia. congratulations Shelly and Chris!!! CatNip is the sweetest, impish little kitty you'll ever meet; when [gasp] ignoring her please for attention, she addresses us with a 'up in your face' loud singing meow that just makes us crack up! And then when we call her name, she's got a funny, squinty eye way of answering, right before she thunders up with a rambling head-bong/shoulder roll, just like her Mommy Phoenix does. CatNip is enjoying a wonderful early retirement with an adorable family on Lake Hartwell. Congrats Mary Ann and George! Phoenix is loving her life as a retiree! we are very happy that she's with a wonderful family headed by Maria,and that family includes her mom SkyLily~! Lily is loving her life as a retiree! She has dominion over 2 teeny hounds, and her Tri-Athlete Maria in North Georgia; we also love that her daughter Phoenix Rising is with her, keeping those doggies in line~! Lily has been a joy from day one! Thank you so very much Teresa/Urban Safari! She is a great companion, loves our kids and is probably the the best mother we've ever seen! 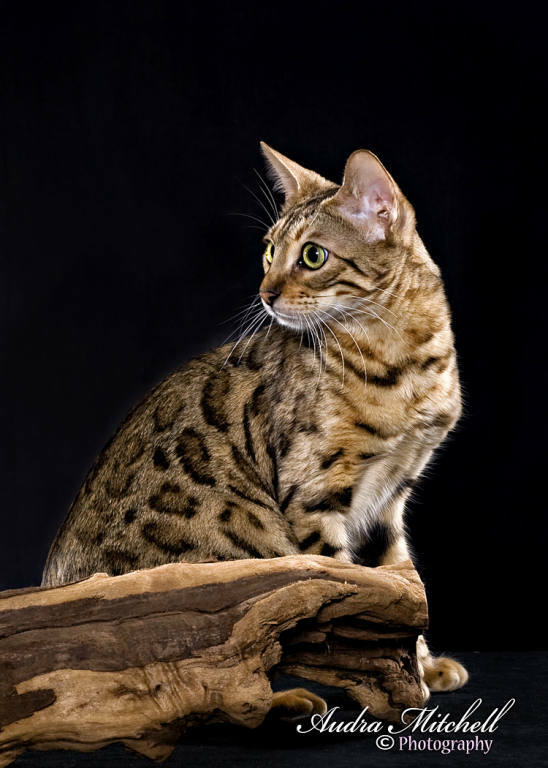 Lily has given us our wonderful RW SGC RubyClaw CopperWind, and RubyClaw Phoenix Rising, and is grandmother to our upcoming queens Champion RubyClaw CatNip Champion RubyClaw Pesto Primavera . We're having our cake and eating it too! Marlo is the wonderful companion of Grandma Florene! It's great for us because Marlo comes to visit frequently; and is the perfect companion for my mom ~! GoldRush is now known as Gadgy - Amanda adores him; we can't ask for any more! Gadgy is ridiculously spoiled with his family - enjoying life out west; They recently visited the Grand Canyon. See photo pages for breathtaking images~! 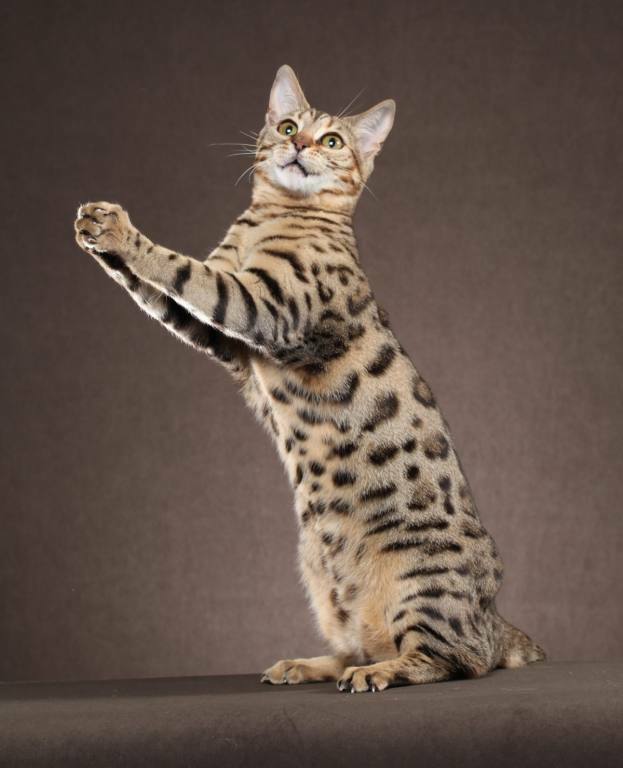 LeopardStar sez: "Please fill out a Kitten Inquiry. 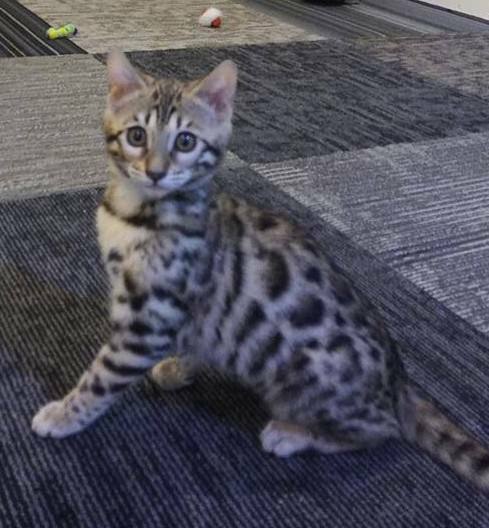 if you'd like to be considered for one of our babies"
Video Link: Lovely LeopardStar is a real lady who knows how to get what she wants... Frequently wanting a touch up to her manicure, or just a special treat from the pantry!